A golden-voiced Plácido Domingo is Radamès, victorious leader of the triumphant Egyptian army in this memorable broadcast. 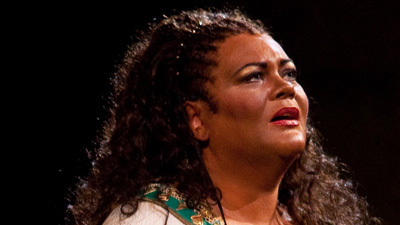 He can have anything in the world he wants—except the woman he loves, the slave Aida (Aprile Millo). 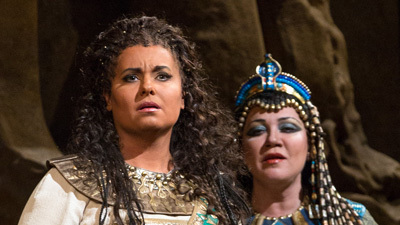 The King bestows his own daughter, Amneris (Stefania Toczyska), on Radamès—which is fine with her, until she discovers he would rather die with Aida than rule Egypt with her. 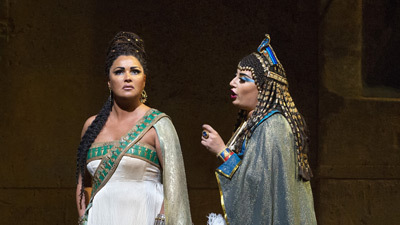 Sherrill Milnes is Amonasro, Aida’s father, who forces her to use Radamès’s love to betray his country. James Levine conducts.